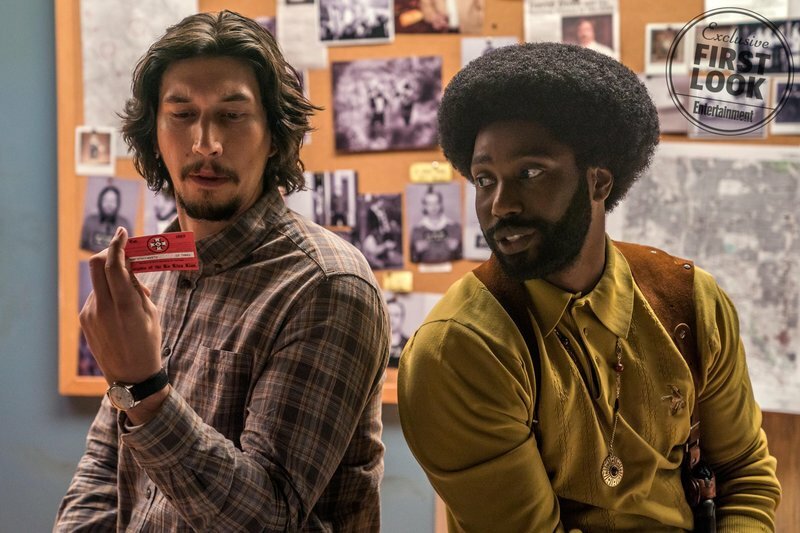 BlacKkKlansman is funny in a way that proves to be absolutely terrifying as the reality of the situation, past and present, comes to light. Summary:Ron Stallworth, an African-American police officer from Colorado, successfully managed to infiltrate the local Ku Klux Klan and became the head of the local chapter. The idea that truth is often stranger than fiction is sometimes hard to believe when you consider the mundaneness of everyday life. Then true stories come out and you realize that the world is so much stranger than most seem to realize. The tale that inspired BlacKkKlansman is one of those stories. 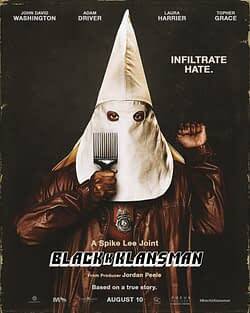 Ron Stallworth (John David Washington), the first black detective in Colorado Springs, Colorado, in the 1970s, manages to strike up a phone friendship with various members of the Ku Klux Klan and infiltrate the chapter with the help of Jewish fellow officer Flip Zimmerman (Adam Driver). Ron talks on the phone, Flip meets them in person, and there are moments as these massive bigots are talking about how much they enjoy talking to “pure-blooded white men” while Ron looks exasperated on the phone. The first scene, when Ron talks on the phone with David Duke (Topher Grace) and rattles off these horribly bigoted things, is so ridiculous that you have to laugh. But director Spike Lee never shies away from the fact that even though these people might be stupid, it doesn’t make them any less dangerous. In fact, their stupidity might make them more dangerous, and Lee acknowledges that up front. As Duke stands in front of a crowd and declares “America first!” and you hear someone in the background saying “we need to make America great again”, the message is about as subtle as a two-by-four to the face. 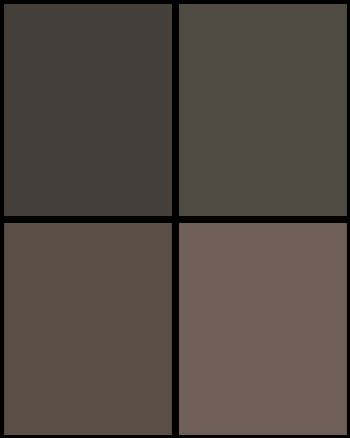 That being said, Lee’s work here is also more nuanced in other ways. The film seems to acknowledge that the Black Panthers at the time and their rhetoric about killing cops wasn’t exactly helping either. It’s a stand you wouldn’t expect from Lee, and he is always at his best when he’s being political. Washington, with only a handful of roles under his belt, is fantastic. He really manages to capture the subtle anger hiding behind a man who knows so many people think of him as lesser. Driver is great as a man who struggles with being a Jew around men who deny the holocaust even happened but also knows he must continue to interact with them for the greater good. It’s Grace who is magnetic in the most terrifying way. It takes a lot to step into the shoes of a man like David Duke, and Grace is fascinating to watch whenever he is on screen. You know what he is saying is wrong, but much in the way that Hitler was a charismatic public speaker, Grace manages to dig into why so many people believe the things that Duke says. The movie has one hell of an ending that brings home the idea that this isn’t a problem of the past — it’s one that is very much alive and thriving in the modern day. BlacKkKlansman wants you to laugh at how stupid these bigots are, but by the end it’s a sharp reminder that for all of the laughter and how dumb these people might be, they are very dangerous and still thriving today.